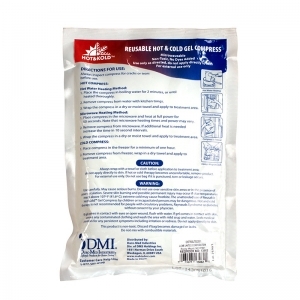 The Reuseable Hot/Cold Gel Packs bring relief to painful bumps and bruises, conforms comfortably around wounds, and measures 4" x 6" size to cover skin surface. 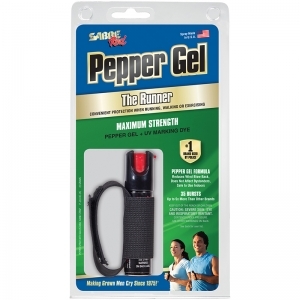 Includes 12 reusable hot/cold gel packs. 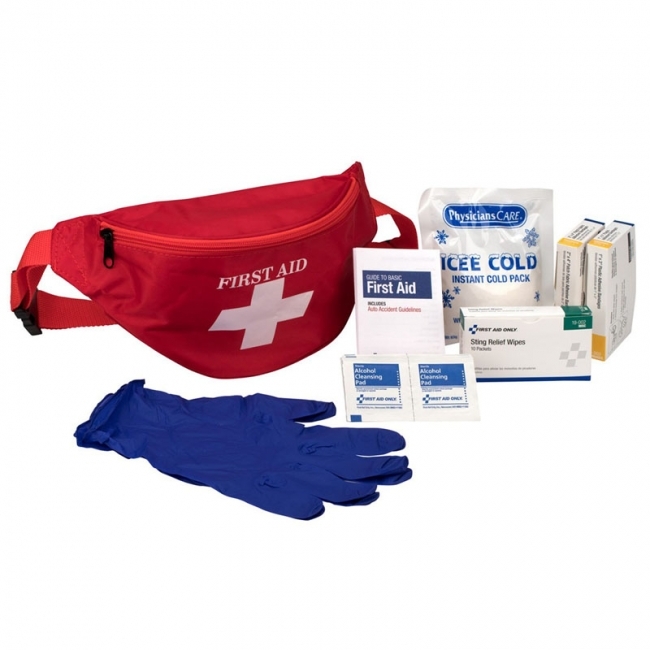 Having the right first aid products at the right time, in the right place is important. 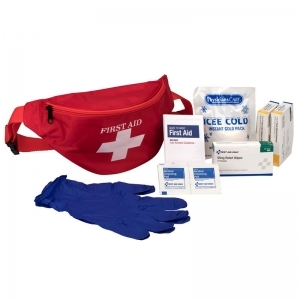 Developed for playground use, field trips or any outside excursion when you need first aid supplies. Perfect for desk drawer, computer bag briefcase or car! Red canvas bag includes minor emergency essentials. Fits around your waist for convenience. 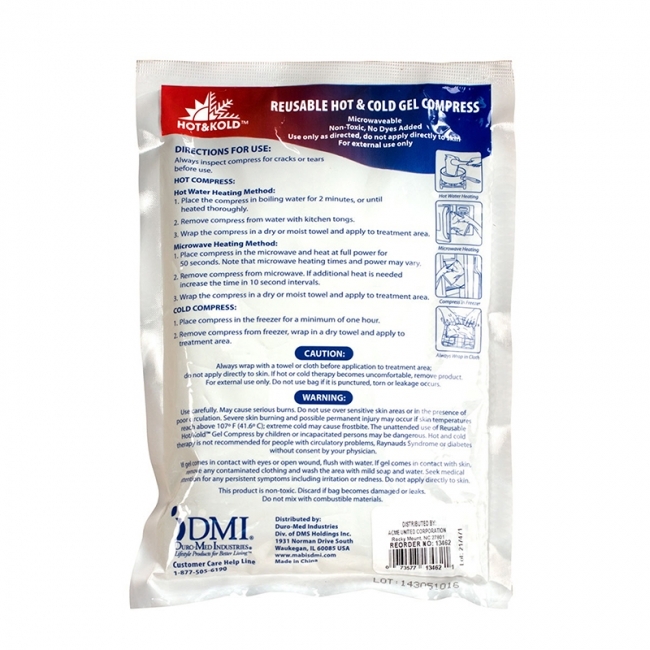 Includes (6) Adhesive Fabric Bandages, 2" x 4", (16) Adhesive Plastic Bandages, 1" x 3", (10) Alcohol Wipes, (1) Cold Pack, 4" x 5", (1) First Aid Guide, (4) Nitrile Exam Gloves, and (10) Sting Relief Wipes. Pudgies Unscented Baby Wipes Use nothing but the best for your child with premium Pudgies Baby Wipes. Disposable Pudgies wet wipes are perfect for the home, in the car and on the go. These thick and soft wet nap baby wipes are also ideal for daycare centers, hotels, changing areas and more. Designed for extra comfort and strength. Gentle formula contains Aloe and Vitamin E. Tissue-like dispensing allows single-handed use. Pudgies Wet Wipes are hypoallergenic, alcohol- free and latex-free. Premoistened 6.6x 7.9 baby wipes.Pudgies Baby Wipes, Unscented, 80 Wipes per Pack. Hard Case Pepper Spray features a quick release key ring allows for accessibility even when keys are in use. 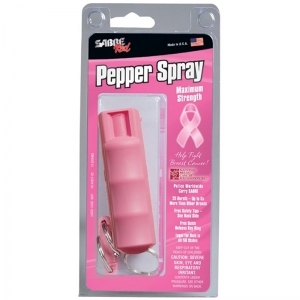 Greater protection at a safe distance. 25 bursts (up to 5x the competition) with a 10' (3M) range. Black Campus Safety Gel with Quick Release Key Ring features a gel formula ideal for college campuses. 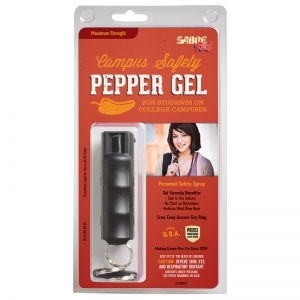 Virtually eliminates airborne particles and wind blowback and is exceedingly safe to use near bystanders and indoors. Quick release key ring allows for accessibility even when keys are in use, plus finger grip helps increase accuracy and enhances control. Greater protection at a safe distance - 25 bursts (up to 5x the competition) at up to 12' (4M) away. 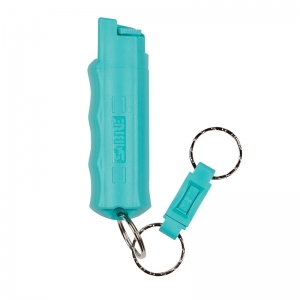 Compact Pepper spray with Quick Release Key Ring supports Kuros!, a company that provides pepper spray to women in developing countries for self-defense against sexual assault. Quick release key ring allows for accessibility even when keys are in use. Greater protection at a safe distance - 25 bursts (up to 5x the competition) with a 10' (3M) range. 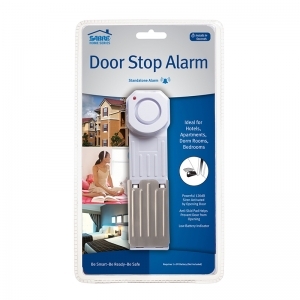 Superior to other home security products, the premium white door alarm looks great inside your home. When door pressure is applied, the extremely loud 120 dB alarm helps wake/alert homeowner or renter, helps deter intruder and possibly notifies neighbors (audible up to 1,000 feet/300M away). Features a non-skid pad to prevent door from opening while alarm sounds. Ideal for bedrooms, hotels, apartments, dorm rooms, front doors, etc. No wiring needed; battery-operated (requires 1x9Vbattery). Provides battery status update with a low battery indicator. 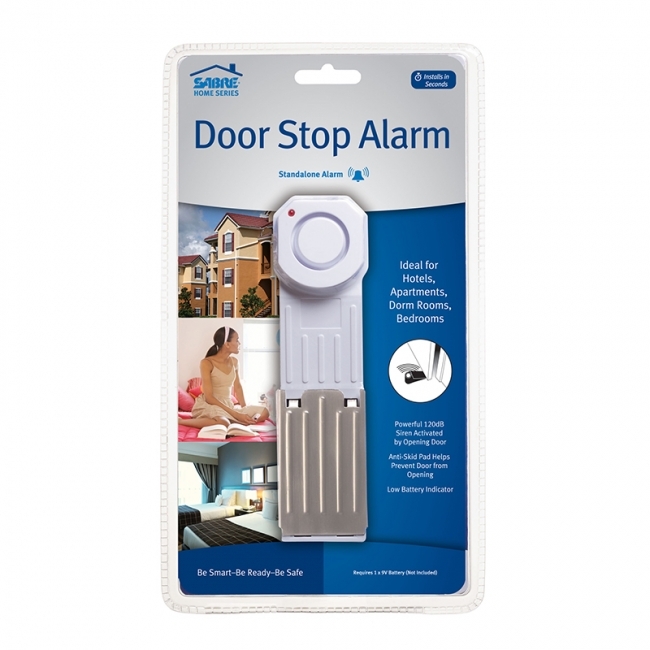 The Door/Window Alarm features an extremely loud 120 dB alarm wakes/alerts homeowner or renter, helps deter intruder and possibly notifies neighbors (audible up to 750 feet/230M away). 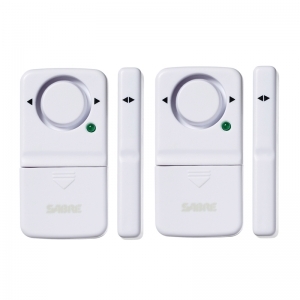 Offers 3 adjustable settings (off/alarm/chime); chime mode is ideal to alert you when children or guests are coming and going when you are at home. No wiring needed, plus sensor mounts on either side of alarm. Provides battery status update with a low battery test button; 4xLR44 batteries included. 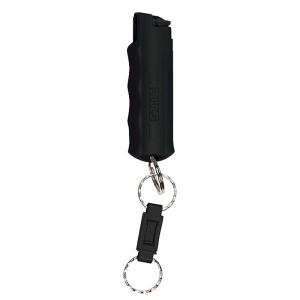 The Mini Personal Alarm is a sleek, compact modern design keychain that attaches to backpack, purse or keys for convenient, instant access, plus greater value with built-in LED light and batteries included. 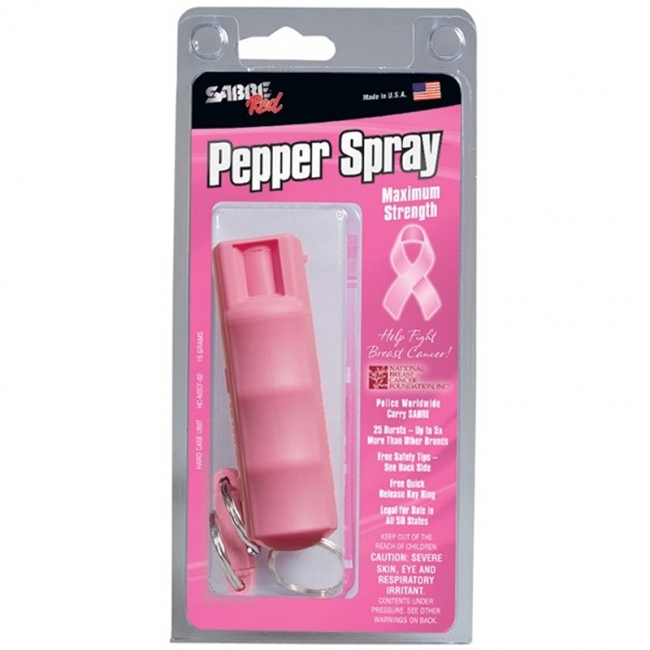 The 110 dB alarm helps call for assistance in an emergency and helps deter attacker (audible up to 500 feet/150M away). Pull metal chain from device to sound 110 dB alarm. Push pin back in to stop sound and use again. 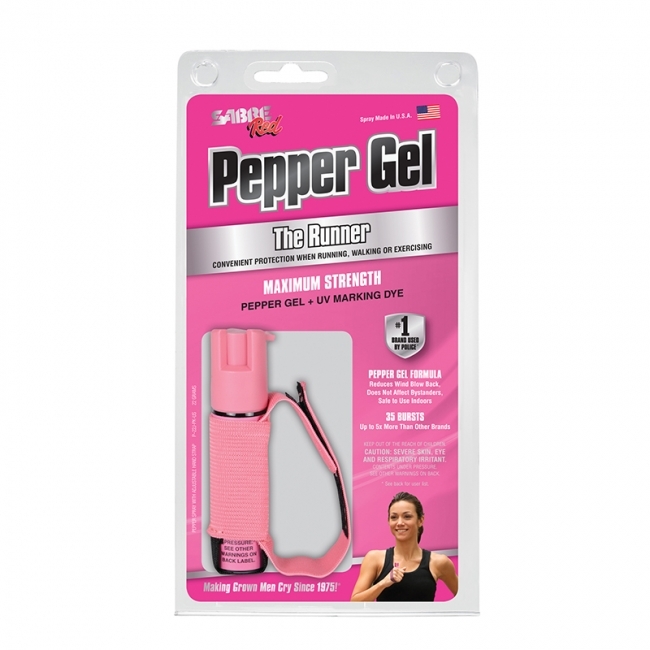 Safe for children, and a self-defense option for any age. Superior to other home security products, this premium white alarm looks great inside your home. The extremely loud 120 dB alarm helps wake/alert homeowner or renter, helps deter intruder and possibly notifies neighbors (audible up to 750 feet/230M away). 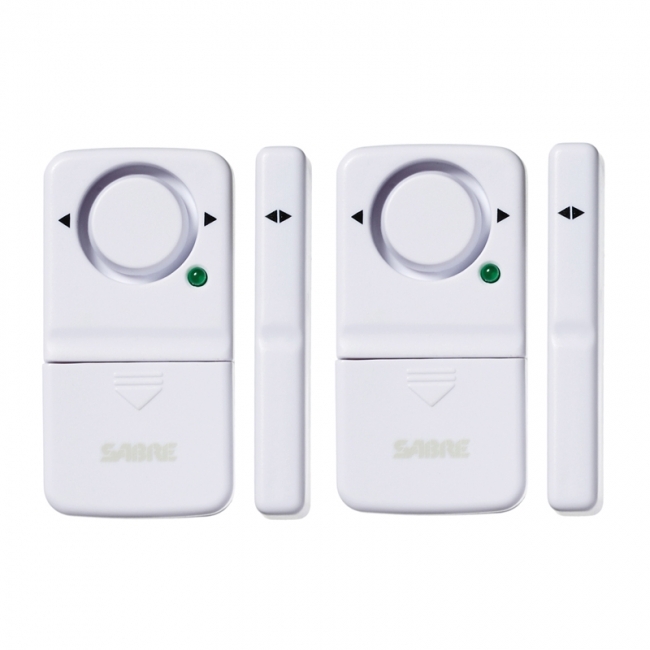 Features 3 adjustable settings (off/alarm/chime); chime mode is ideal to alert you when children or guests are coming and going when you are at home. Easy installation; no wiring needed, plus sensor mounts on either side of alarm for easier set up; 4xLR44 batteries included. Provides battery status update with a low battery test button. Bright, eye-catching label features flowers, hearts and butterflies. 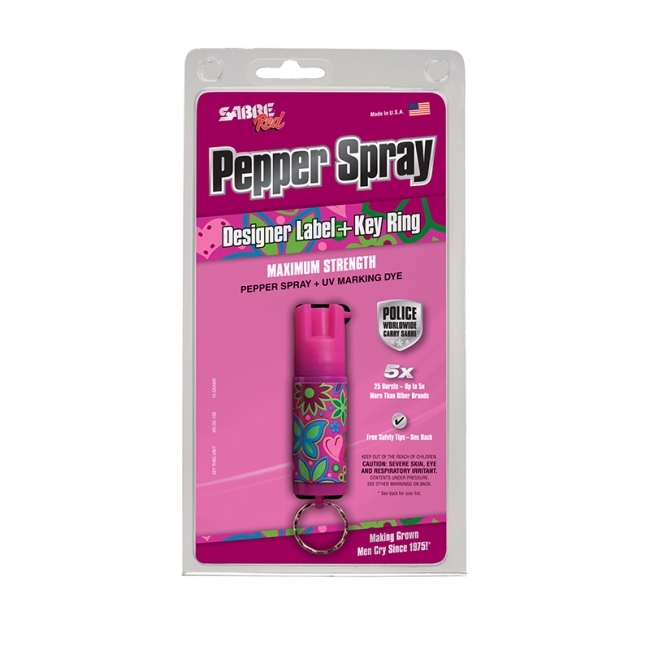 Designer Pepper Spray with Key Ring reduces wind blow-back thanks to powerful stream delivery. Greater protection at a safe distance - 25 bursts (up to 5x other brands) at up to 10 feet away. 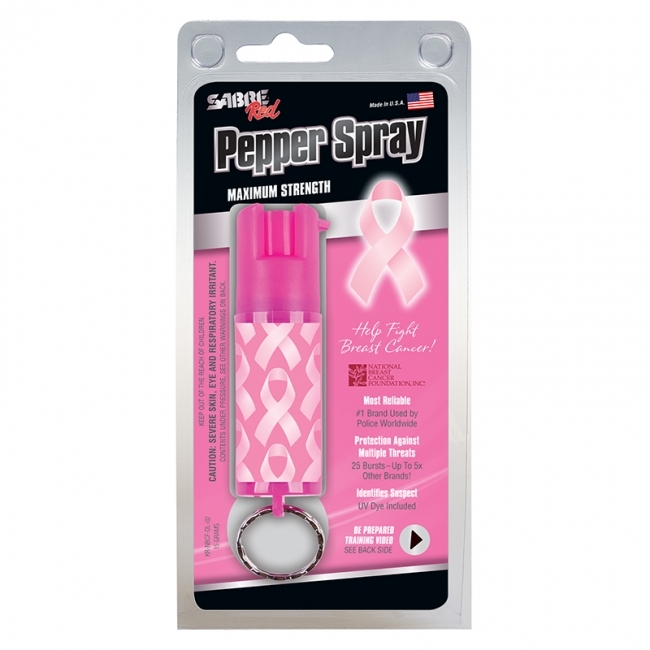 Attractive Designer Pepper Spray with pink ribbons supports National Breast Cancer Foundation. Reduced wind blow-back thanks to powerful stream delivery. 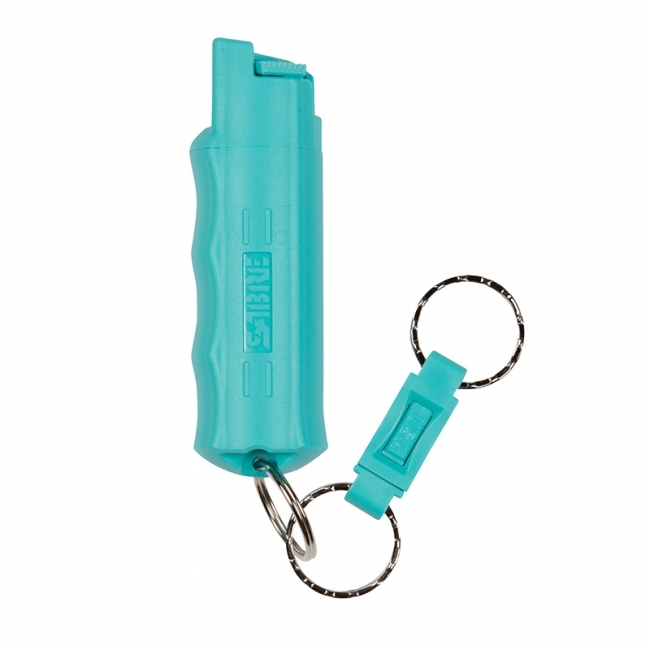 Greater protection at a safe distance - 25 bursts (up to 5x other brands) at up to 10' away. 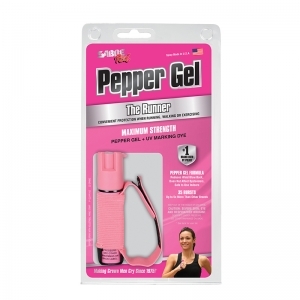 Runners Pepper Spray with Adjustable black hand strap helps ensure pepper spray is readily available on the move. 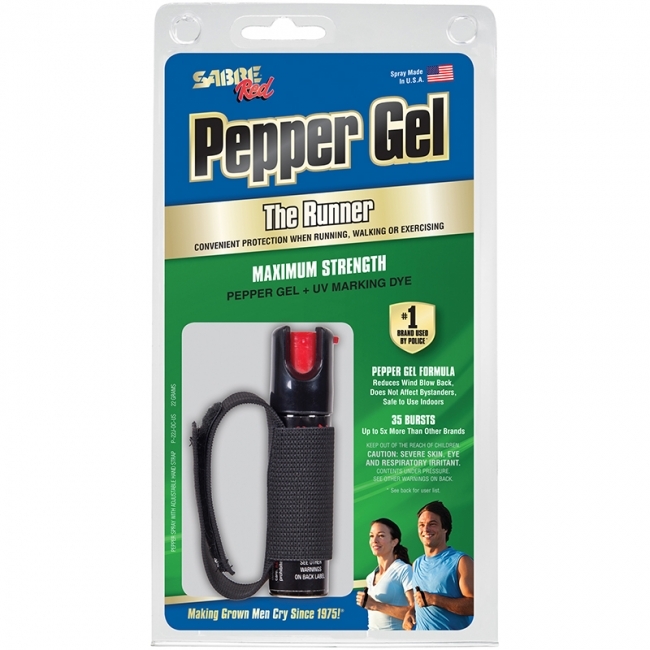 Gel formulation virtually eliminates wind blow-back. Greater protection at a safe distance - 35 bursts (up to 5x the competition) at up to 12' (4M) away.